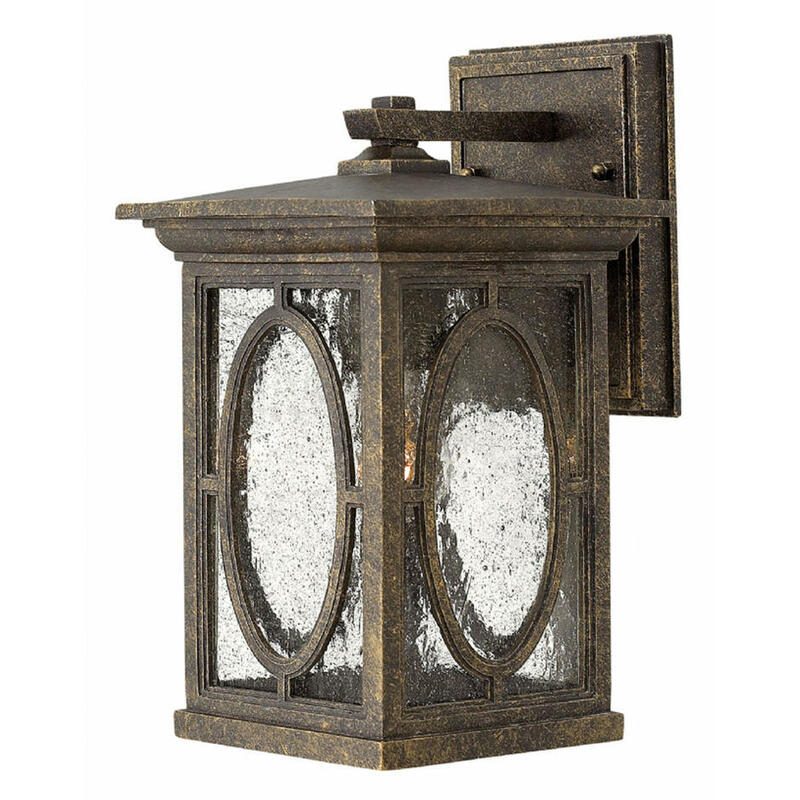 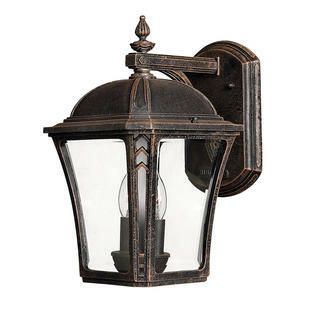 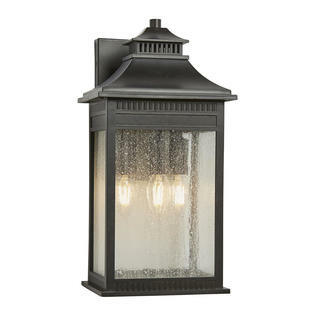 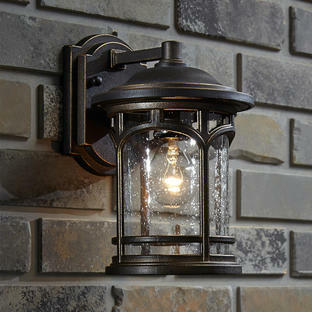 Compact, turn of the style outdoor wall lantern will give elegant styling to outdoor entrances and porches. The Randolph wall lantern's traditional design features a bold oval pattern in die cast aluminum construction and clear seeded glass panels. The lantern has a distressed copper/bronze finish which gives an autumn colour.